Enjoy bright, clear images with the NEC NP-ME382U 3800-Lumen WUXGA LCD Projector. Its 3800 lumens of brightness can overcome ambient light in most conference room and classroom settings, while its 16,000:1 dynamic contrast ratio can help ensure discernible detail in most images. 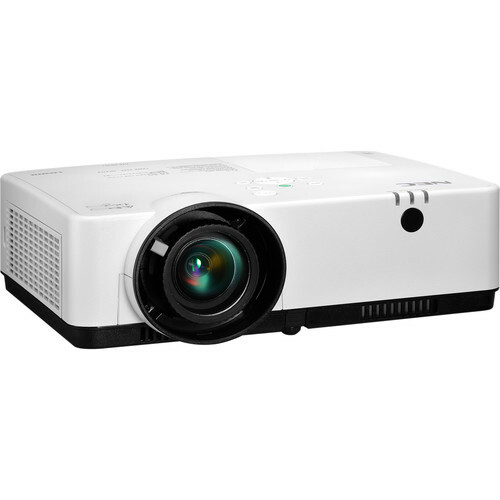 The projector's native WUXGA 1920 x 1200 resolution is suitable for most video and file formats, and will accept up to 4K UHD sources. The NP-ME382U accepts resolutions up to 4K UHD to offer a measure of future-proofing. Box Dimensions (LxWxH) 17.4 x 15.5 x 7.5"